When it comes to comfort differentiation, HVAC manufacturers have it tough these days. The rapid pace of technological development means that no single manufacturer can maintain a competitive edge for very long. Each one invests millions of dollars developing new products and, before they can cash their first check, one of their competitors has produced something bigger, better, faster, or cheaper. This type of competition transforms all products into commodities and can have a negative impact on the ability to sell. This commodity mindset is a significant challenge not only for manufacturers, but for distributors and most HVAC contractors as well. When contractors compete with others of like minds based on the features of the boxes they sell, the consumer’s commodity mind drives them to select the least-cost option because they are “all the same.” This has huge negative financial consequences. In most cases, the box you’re selling is exactly the same as your competitor’s box. I spent several years selling for my family’s HVAC business. We sold, for the most part, exactly the same furnaces and air conditioners from the same manufacturer as four or five of our local competitors. When you take the brand name out of the equation, we were selling the “same” three-ton condensing unit and 80,000-Btuh furnace as all of our competitors. You work in this same business environment today, don’t you? So do you deliver customers comfort or boxes? Now to be sure, our box had a few more bells and whistles than some of our competitors’, but it was increasingly difficult to get customers to understand the difference. Unfortunately, most people view one box as no different as any other. A three-ton system is a three-ton system is a three-ton system – isn’t it? Think about it … How much real difference is there anyway? Aren’t they all pretty much using the same scroll compressors, copper tubing, capacitors, motors and contactors? If all you’re selling is a box, the lowest price will usually win the job. Regardless of your situation the question is the same: How do we profitably win the job when the customer perceives us as selling just another box? solution involves much more than just a box. There’s a whole lot more that goes into a customer’s investment decision than just the box or the price. You must make the “other things” clear in their mind to add their value to the equation. Your job is to identify the differences that make your offering unique and then ensure the customer recognizes them as being critically important. Therefore the vast majority of the safety, health, comfort, and efficiency problems that your customer faces cannot be solved by equipment replacement alone. You must educate them to understand this fact in a non-threatening way. That’s easier said than done. To do so effectively, you need to invest concentrated time thinking, planning, preparing, practicing, and measuring. You must carefully consider the two most important elements of the sale — your customer and your solution. What problems do your customers face? How do you diagnose the root cause of their problems? 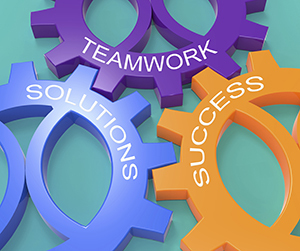 Can your team design solutions to solve their problems? Will these solutions address their problems? What products, services, warranties and guarantees does your solution include? What types of duct system renovation services do you offer? Is your solution truly better than your competitors? How much better? Can you prove it? Will your customers testify to that fact? Do your employees believe it? Do you bundle your products and services to simplify investment decisions? Are easy financing options made available? Is your entire team trustworthy, loyal, helpful, friendly, courteous, kind, obedient, cheerful, thrifty, brave, clean, and respectful? Do they follow a clear game plan designed to deliver the ultimate customer experience? Do you measure your results or are you just guessing? In other words, your people and processes are a much more critical part of any solution you sell. Notice that there’s no mention of any equipment manufacturer in our process. That was by design. When we sell them on our people and our process, we’re selling what makes us unique. These are the keys to being a superb comfort specialist and differentiating yourself in your marketplace. Who’s the manufacturer now? You are! Think about this: The “box builders” are simply component suppliers for your manufacturing business. When you position yourself this way, you’re differentiating your company from every competitor. Customers can’t buy your product from anyone else in town– you’re the sole source! Let’s say you want to buy a new truck. You have identical price quotes from two dealers. The truck is the same, and the price is the same. However, one dealer is close by, the other across town. The closer dealer has a reputation for great customer service; the other has no such reputation. The sales person for the first dealer is the brother of an old high-school friend, while the salesperson for the second dealer is a bit cocky and pushy. The first dealer has a clean, comfortable establishment, while the second one is cramped, cluttered and dirty. From whom do you buy your new truck? You would likely buy the truck from the first dealer, not because of any differences in the “box” or the price, but because of differences in the total solution. Comfort is the key to successful performance-based sales. 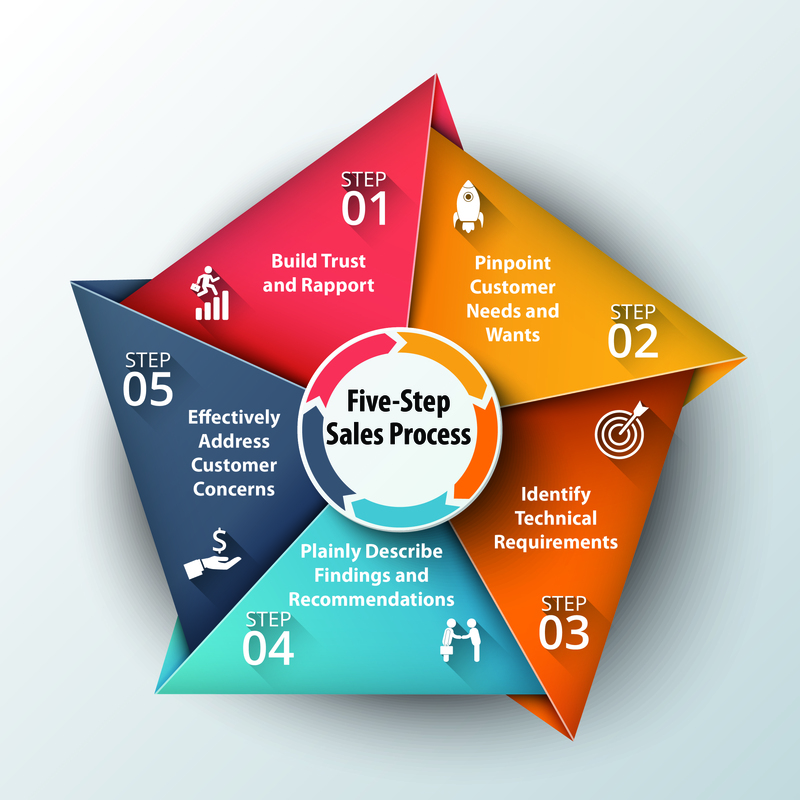 Here are NCI’s five steps to help you achieve customer comfort solutions. Every “Sales 101” class on the planet begins with a step that sounds just like this. But we go far beyond the “show up on time and offer sincere compliments” concepts. Customers trust you more when they have a long-term relationship already in place with your company or when you’re referred by a friend or family member. Relationship is a critical ingredient in the trust recipe. In every market, houses in the same price range are pretty much identical in terms of square footage and construction methods. While most houses may be the same, the homeowners who live in them are all very unique. You must professionally uncover the individual needs and desires of the customer to design a solution that best addresses them. Based on the information gained in Step 2, you must perform a complete technical analysis on the home and the HVAC system. You must go beyond the “BTU per square foot guesstimating” methods employed by many contractors in our industry. Using appropriate test instruments in this step ensures accuracy and helps customers understand the root of the problems they face. With all the information gathered in the previous steps, it’s time to describe your findings and recommendations in a clear and understandable way. When your customer completely understands that you and your team are fully capable of addressing ALL their safety, health, comfort, and economic needs, you are positioned for the win. Customers will have questions and concerns – you can count on that! You must be well prepared to answer their concerns, backing up your answers with personal testimonials and documented results. When you successfully do this, customers will reward you with the job and willingly pay a premium price for your premium product. 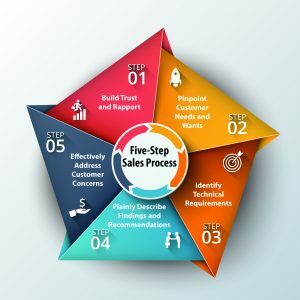 Our five-step sales process is easy once you fully understand it and have practiced each step repeatedly. Join us at our next three-day Sales Boot Camp to start enjoying the sales success and profitability you deserve in your performance-based HVAC business.